Malraux was born in Paris during 1901, the son of Fernand-Georges Malraux and Berthe Lamy (Malraux). His parents separated during 1905 and eventually divorced. He was raised by his mother and maternal grandmother, Berthe and Adrienne Lamy in the small town of Bondy. His father, a stockbroker, committed suicide in 1930. Andre had Tourette's Syndrome during his childhood, resulting in motor and vocal tics. At the age of 21, Malraux left for Cambodia with his new wife Clara Goldschmidt. In Cambodia, he undertook an exploratory expedition into the Cambodian jungle. On his return he was arrested by French colonial authorities for removing bas-reliefs from one of the temples he discovered. Banteay Srei (The French government itself had removed lar Malraux was born in Paris during 1901, the son of Fernand-Georges Malraux and Berthe Lamy (Malraux). His parents separated during 1905 and eventually divorced. He was raised by his mother and maternal grandmother, Berthe and Adrienne Lamy in the small town of Bondy. His father, a stockbroker, committed suicide in 1930. Andre had Tourette's Syndrome during his childhood, resulting in motor and vocal tics. At the age of 21, Malraux left for Cambodia with his new wife Clara Goldschmidt. In Cambodia, he undertook an exploratory expedition into the Cambodian jungle. On his return he was arrested by French colonial authorities for removing bas-reliefs from one of the temples he discovered. Banteay Srei (The French government itself had removed large numbers of sculptures and artifacts from already discovered sites such as Angkor Wat around this time). Malraux later incorporated the episode into his second novel La Voie Royale. Malraux became very critical of the French colonial authorities in Indochina, and during 1925 helped to organize the Young Annam League and founded a newspaper Indochina in Chains. On his return to France, he published The Temptation of the West (1926) which had the format of an exchange of letters between a Westerner and an Asian comparing aspects of the two cultures. This was followed by his first novel The Conquerors (1928), then by The Royal Way (1930) which was influenced by his Cambodian experience, and then by Man's Fate (La Condition Humaine). For La Condition Humaine, a novel about the 1927 failed Communist rebellion in Shanghai, written with obvious sympathy for the Communists, he won the 1933 Prix Goncourt. 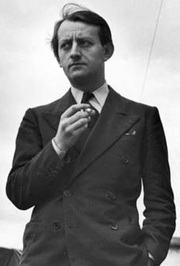 During the 1930s, Malraux was active in the anti-Fascist Popular Front in France. At the beginning of the Spanish Civil War he joined the Republican forces in Spain, serving in, and helping to organize, their small air force. His squadron, called "España", became something of a legend after his claims of nearly annihilating part of the Nationalist army at Medellín. According to Curtis Cate, his biographer, he was slightly wounded twice during efforts to stop the Falangists' takeover of Madrid, but the British historian Hugh Thomas denies this. He also toured the United States to raise funds for the Spanish Republicans. A novel influenced by his Spanish war experiences, Man's Hope, (L'Espoir) was published during 1938. At the beginning of the Second World War, Malraux joined the French Army. He was captured in 1940 during the Battle of France but escaped and later joined the French Resistance. He was captured by the Gestapo during 1944 and underwent a mock execution. He later commanded the tank unit Brigade Alsace-Lorraine in defence of Strasbourg and in the attack on Stuttgart (Germany). He was awarded the Médaille de la Résistance, the Croix de Guerre. He was also awarded the British Distinguished Service Order for his work with British liaison officers in Corrèze, Dordogne and Lot, and after Dordogne had been liberated, leading a battalion of former resistance fighters to Alsace-Lorraine where they fought alongside the First Army. During the war he worked on a long novel, The Struggle with the Angel based on the story of the Biblical Jacob. The manuscript was destroyed by the Gestapo after his capture in 1944. A surviving first part titled The Walnut Trees of Altenburg, was published after the war. He would never write another novel. Malraux and his first wife divorced during the 1940s. His daughter from this marriage, Florence (b.1933), married the filmmaker Alain Resnais. Malraux had two sons by his second wife Josette Clotis: Pierre-Gauthier (1940-1961) and Vincent (1943-1961). During 1944, while Malraux was fighting in Alsace, Josette died when she slipped while boarding a train. His two sons were killed during 1961 in an automobile accident. Mayıs ve Haziran 2018 aylarında aşağıdaki klasiklerden hangisini okuyalım?